Imagining a Hausa or Fulani wedding without the application of the henna is difficult. Although a trans-culture brought to West Africa, the henna application has been in the history books for at least a thousand years and according to some records, it arrived in Northern Nigeria as early as the period of the Roman Empire. And so, this age-long tradition has been embedded into the core of Northern Nigerian culture. Also referred to as Laali by Northerners, the henna is not just a form of cultural expression but also self-expression. Modern brides also use their henna designs to show off their sophisticated taste. 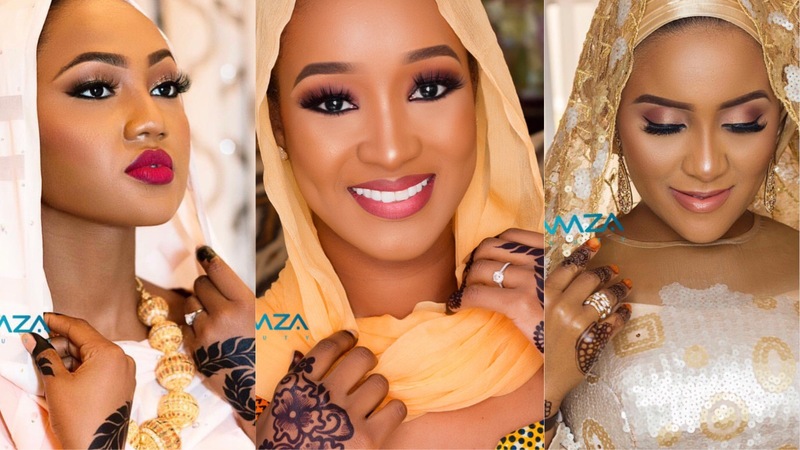 Abuja-based top makeup artist, Mamza Beauty has become one of the go-to henna artists for Northern elites. Hausa and Fulani brides look forward to their Wuni or Sa Lalle which is when the henna dye is applied to the hands, palms and feet. The celebration is where a bride gets to spend her last time in her father’s house surrounded by friends and family; thus it holds a lot of significance. During this ceremony, a mixture of the dye is created and a design pattern chosen. The patterns and designs also carry meaning; for example, floral patterns are considered to be symbols of beauty, purity, rebirth and youth. Once the pattern is settled on, the application process proceeds and the ceremony begins. Family members and friends are also allowed to partake in decorating their bodies with the henna but their designs are not as intricate as that of the bride’s. The importance of the henna application and the ceremony at large cannot be overemphasized. For a northern bride, that final communion with friends and family is the joy she would take into her new home.